Ready To Fly! 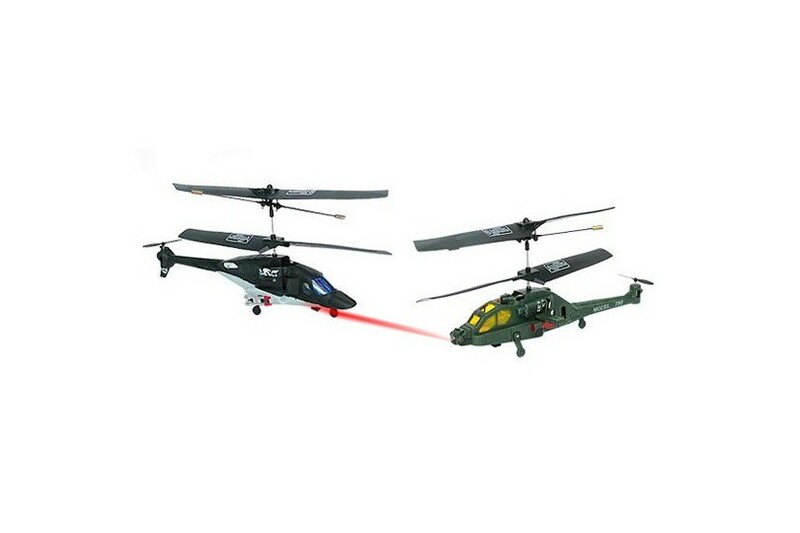 Indoor fighting game to play with your family and friends, through the High-tech R/C infrared fighting helicopters. When you push the shooting button on the transmitter, a shooting sound will be heard. Made from tough expanded Polypropylene foam. 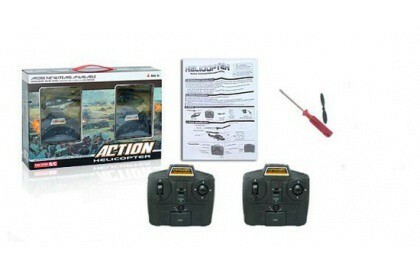 - Incorporated auto stability system making it easy to fly. Pre-installed two channel proportional wide beam infra red Recharging takes place via the included transmitter. The transmitter has an Alignment Trim, a Charging and Power Indicator, a Left/Right Lever and a Trimmer. Can fly with 3CH: Up/Down, turn right/left, forward and backward. Lightweight Lithium Polymer flight battery. 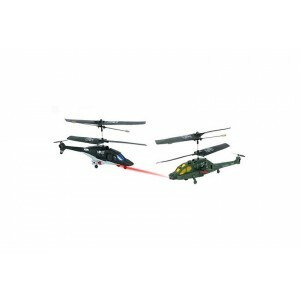 - Small blue LED strobe light that flashes in-flight for night flying.